The string is made of 5 different colors of strings twisted together. 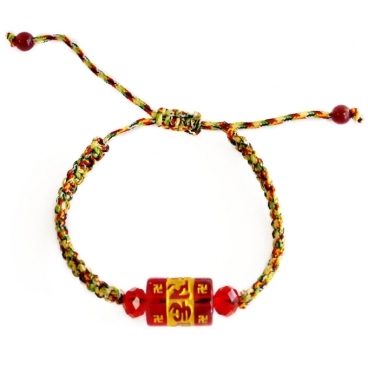 5 different colors of strings represent 5 elements, which are for metal, water, wood, fire and earth, in feng shui. Red Omani is syllable mantra in Tibetan script which can help wearer against harm and bring good fortune.